Our current executive director is retiring this spring after serving the CWC for more than 11 years. We are looking for a talented individual to carry the organization forward through the next stage of our growth. The application deadline is February 12, 2016. Position is to begin in spring 2016. Salary range $35,000 – $50,000 based on experience, limited benefits. One huge benefit is working with a great bunch of volunteers with a passion to protect the habitat of Michigan, in a great community, with a great university. Please send resume, a cover letter speaking to your passion in habitat protection and 3 relevant references to EDsearch@chippewawatershedconservancy.org. If you know of any potential candidates please share. Chippewa Watershed Conservancy (CWC), headquartered in Mt. Pleasant, MI, is seeking a fulltime Executive Director. The CWC is accredited by the Land Trust Accreditation Commission since 2012, and protects important habitats in the counties of Central Michigan (a 3,000 sq. mi. service area). The CWC has nearly 5,000 acres permanently protected consisting of 19 preserves and 34 easements in 5 counties. The CWC is a volunteer driven organization with an active calendar of events and programs. We are looking for an Executive Director who demonstrates a passion for, and experience in protecting habitat, who can demonstrate an ability to energetically engage the community, foster strategic partnerships, manage land stewardship and broaden support for our diverse conservation efforts. Responsibilities include supporting and implementing the CWC strategic plan, land conservation and stewardship, community relations and outreach, fundraising, financial management, and team/staff leadership. This position, is responsible for providing leadership and direction for the Chippewa Watershed Conservancy (CWC). The Executive Director’s primary function is to continue the mission of the CWC and work toward achieving the vision of the CWC. The incumbent will work closely with, and report to the board President and the board. The incumbent will energetically engage the community, foster strategic partnerships, manage land stewardship and broaden support for the CWC’s diverse conservation efforts. Responsibilities include supporting and implementing the CWC’s strategic plan and associated management plans, implementing land conservation and stewardship policies and practices of the CWC, be the official representative of the CWC to develop and maintain community relations and outreach, be responsible to build endowed and designated funds by active fundraising, financially manage the CWC, and provide staff and volunteer management and leadership. The Executive Director will oversee, manage and be responsible for all staff of the CWC. Demonstrated ability to build and develop relationships through public outreach and education. Ability to manage multiple assignments with competing priorities while maintaining attention to details. Ability to represent the CWC and its board. Be willing to learn, and work with a group of volunteers. Experience in habitat conservation, or related field. Experience in leading a land conservation organization accredited by the Land Trust Alliance. Knowledge of or experience in land protection and/or land stewardship. Knowledge of or experience in the Land Trust Alliance Standards and Practices. 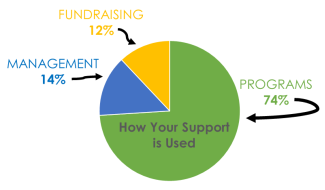 Knowledge of or experience in fundraising. Demonstrated ability to manage and lead the operations of a non-profit organization. Ability to maintain positive relationships with the CWC board, local, state and national organizations. Work closely with the CWC Board and Board President and be the official representative of the CWC. Responsible for the day to day operation and management of the CWC staff and office. Responsible for the legal organizational requirements and obligations of the CWC, Inc. Responsible for the financial management of the CWC. Manage the land stewardship of the lands under the CWC responsibility. Manage the preserves under the CWC responsibility. Managing and implement the CWC strategic plan with associated other plans and work toward yearly goals. Implement land conservation and stewardship policies and practices of the CWC. Responsible to build endowed and designated funds by actively fundraising. Provide volunteer management and leadership. Energetically engage the communities served by the CWC. Foster strategic partnerships to broaden support for the CWC’s diverse conservation efforts. For a downloadable copy of the announcement, click here.